Ohh... So your blog post thumbnail is not appearing in Blogger homepage and other subsequent archive pages. Here we have shared some solutions to fix images, and I hope it will solve your blogger images issue quickly. While daily posting of new pages on blogger, we tends to use free royalty free images for blogs but suddenly in one day you got the bug causing the image thumbnails disappeared from the homepage and archive pages. And you then checking and start editing HTML template to solve it. But in reality, the issue is neither with your blogger template nor with the Google updates. There are lots of blogger around facing the problem of their thumbnails not able to load in blogger. I recently got the questions from my active readers when their post pictures are not showing in the blogger. Why did blogger thumbnail stop showing up? How to fix photos not showing? Is the SSL causing images not to display in the post list? How to solve images not appearing? These are the prompt questions. No need to worry, I have found some quick solutions that not only work to optimizing images for web but also will work for you if the thumbnail is not loading on your blog post correctly. 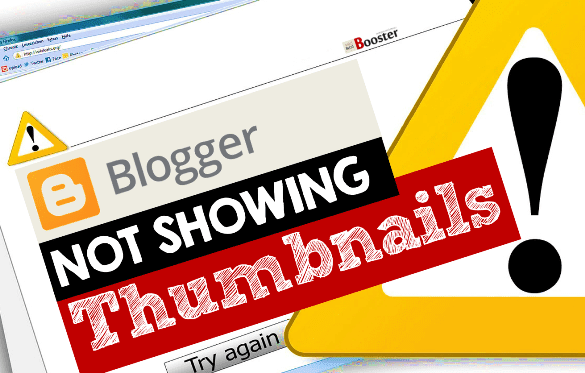 Learn to fix missing thumbnails on blogger platform. 1. SSL Image links Causing Photos Not to Display. If you see carefully, you will find that image link is different when it comes to the writing of hypertext transfer protocol (HTTP). Earlier the blogger platform used to embed the images of blog posts with the normal protocol whereas the new updated version of blogger platform embedded the pictures of blog posts with the secure protocol by means of SSL image links. Here you just need to change the HTTPS to HTTP as shown in above picture. Publish the post again and check. 2. Fix The Title of Post. This is something strange, but this is the unique solution for most of the blogger users. List the posts who's images are not showing on homepages and archive pages. If you watch the titles of each post, carefully you will see something unwanted "apostrophe." The blog post editor helps us to write pages without any mistakes, no doubt. But the "apostrophe" we use in the title is not readable by the RSS FEED then that is why the feed not able to pass the image to show on the homepage. After following these methods, again publish the post, and your missing image thumbnails will stand out appearing again on your homepage and archive pages too. Here we can not say firmly that the problem is actually caused by blogger platform or HTML template code. But we can firmly say the bug is nothing but a headache that is not giving permission to image thumbnails of blog posts to load and appear on your site. Nevertheless, we believe that this problem would be permanently fixed by blogger platform quickly. We believe these quick blogging tips has helped all those bloggers who were calling us about the image thumbnails of blog posts not appearing on the homepage. This blog post would surely give them relief about their blog site. In case if you know any better idea to fix this error of blogger images then you can share it via the comment section below. And also if you have any other issue then don't hesitate to contact us.